Last year I had the opportunity to produce some illustrations for Polar Bears International, an organization devoted to conserving polar bears through research and education. 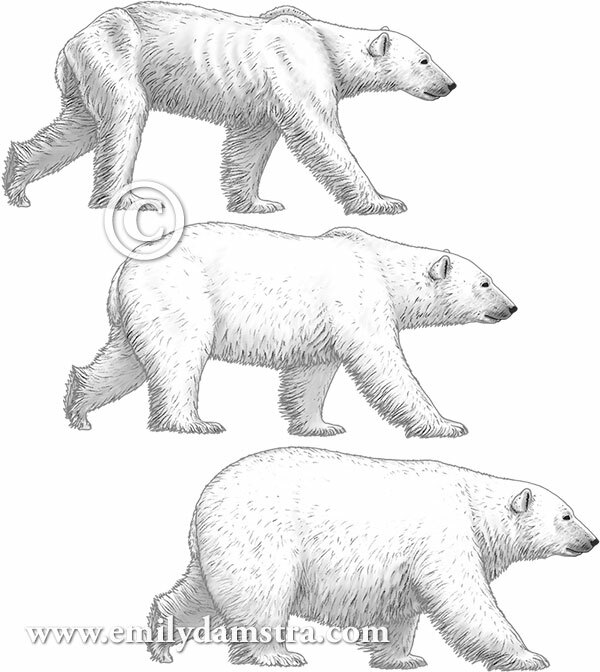 My illustrations of polar bears in various states of fitness became part of a scorecard used to assess body condition. It helps people who observe a bear to visually determine its body condition in the most standardized way possible. Below are three of the ten illustrations. Happy International Polar Bear Day (Feb. 27)! Vey interesting . . . and important work, too! Great job, as always, Emily!